Beautiful, lightweight, custom made Gavin Doherty dress. Has amazing detail and is stunning on stage. 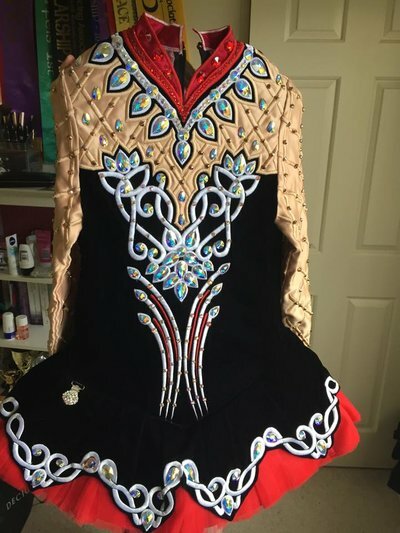 Worn by a champion dancer. As new, in perfect condition. Less than 5 months old and only worn 4 times. Covered in over $600 worth of Swarovski crystals. Comes from a smoke free, pet free home. Selling due to retirement. Asking Price: $US2000. Shipping costs are included in the asking price for worldwide shipping. Sale is final.